Bolivar Flats along the Gulf of Mexico in SE Texas continues to amaze me. Made my second trip over the long holiday weekend yesterday and this one was special. My typical goals at Bolivar include trying to find and photograph Avocets and Reddish Egrets. All other birds are icing on the cake. It was a target rich environment and had the opportunity to have my cake with lots of icing on top. In my FeatherFest workshops, I stress to the participants to keep your head on a swivel and look behind you as the best shot may be there. Took my own advice and it paid off big time on this outing. 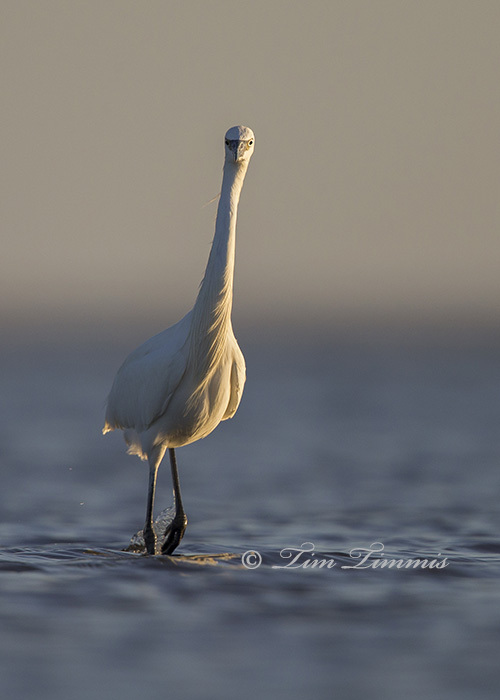 All photos were taken with Canon 1DX and Canon 500mm F4 IS II with 1.4X III teleconverter mounted on Skimmer ground pod with Wimberley II gimbal head. Very little cropping on most of these photos. Got up at 3:30 a.m. and made it to Bolivar before the sun came up. Hiked along the beach to check out where the birds were located and saw this Great Blue Heron flying by. Picked up my rig, including the ground pod, and got a series of blurred flight shots. Got a nice blurred wing spread when he landed. Worked my way down the beach and saw a group of White Pelicans, Gulls and Avocets in the distance. Didn’t see a practical way to get close to them so headed to one of my favorite spots and settled on a small sandbar just off shore within reach of a Reddish Egret. Got a few shots of him dancing around when the tide came in and the sand bar went under water. Decided to stay put and laid in the water waiting for some more bird action. 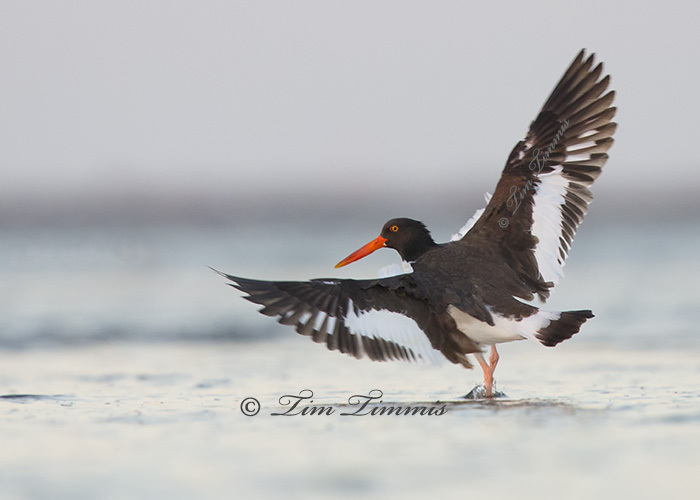 Patience paid off as I heard a group of three American Oystercatchers coming in for a landing near by. Got off my first shot as this one was landing and he gave me a very nice wing spread. They only hung around for a couple of minutes and took off. Looked behind me and saw a Reddish Egret dancing in the distance so headed back in that direction. Saw what I thought was a Snowy Egret and decided to lay down and get a few silhouette shots. Discovered that he was actually a White Morph Reddish Egret, which ended up providing some great shots over the next hour. 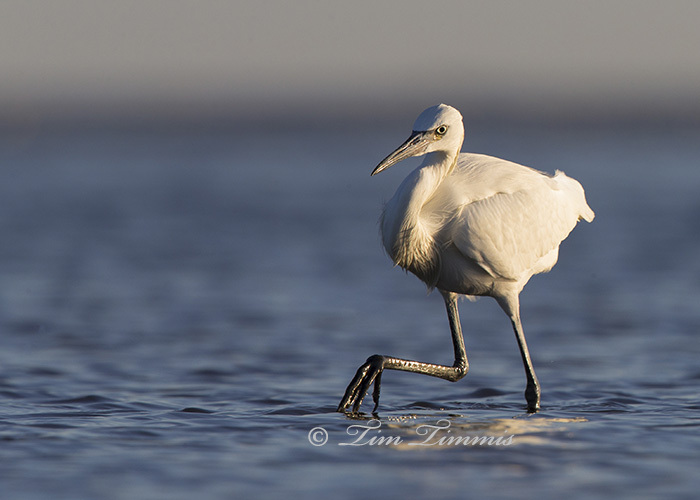 Followed this White Morph back to near my original location when a Reddish Egret flew in and scared him off. After the Reddish Egret didn’t do anything but stand there, turned around to see that the White Morph had landed back in the area where I first spotted him. Moved my position again and ended up working his way back towards me. Got some of my best White Morph shots as he danced around. I’ll post some more shots of him later. After the White Morph walked passed me, heard a familiar bird and looked behind me to see a single Avocet starting to feed along side a Yellow Legs and a Willet. The challenge at this point was to rotate around in the wet sand without spooking him. The Avocet kept moving back and forth and got close enough for some head shots. This one is uncropped. 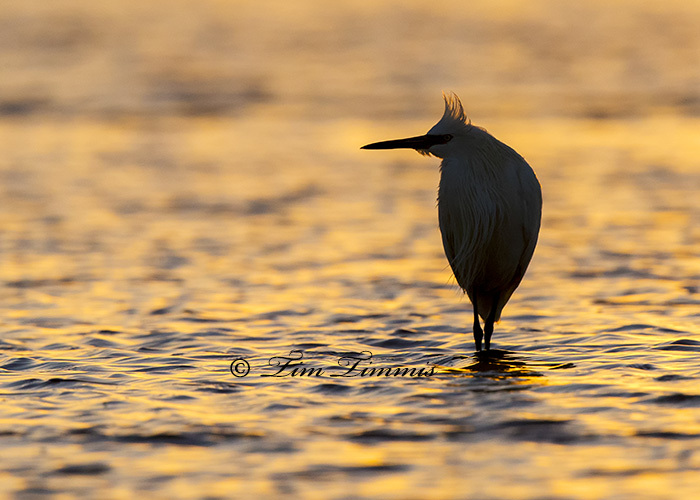 This entry was posted on November 30, 2014 by Tim Timmis. 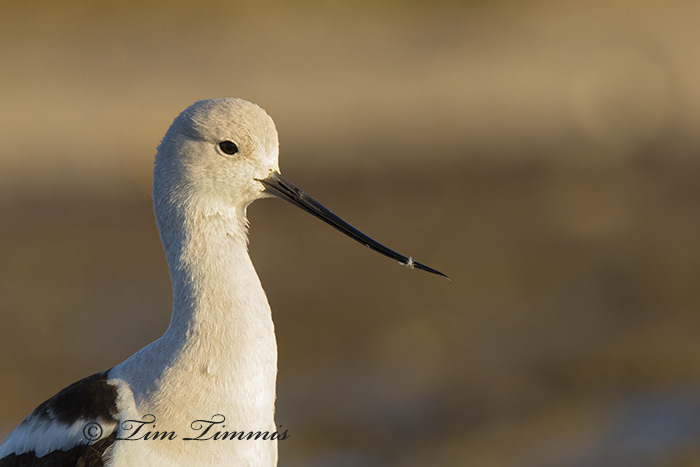 It was filed under Birds and was tagged with American Avocet, avocet, Bolivar Flats, Canon 1.4x III, Canon 1DX, Canon 500mm F4 IS II, Great Blue Heron, Reddish Egret, Skimmer ground pod, White Morph Reddish Egret, Wimberley II. Beautiful images! I particularly like the motion blur heron. Thanks Katrina. I enjoy taking blurred shots, especially before the sun comes up. That IS a day. That’s having a great time. Great captures Tim! Thanks David. Had a great time and can’t wait to go back. Make all of the effort to get these shots in not ideal conditions and have to deal with the clean-up, etc. worth it. 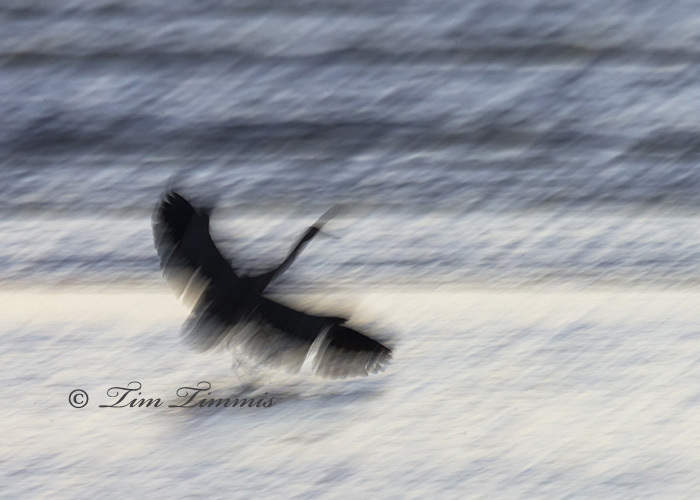 Beautiful images Tim……..glad you finally had a chance to get in some shooting over the holiday. Thanks Sheldon. It was a good time and a nice stress relief. It’s hard to beat a day like that! Thanks Lyle. It was lots of fun having so many photo op’s. I’ve had a few better days out there but not many.